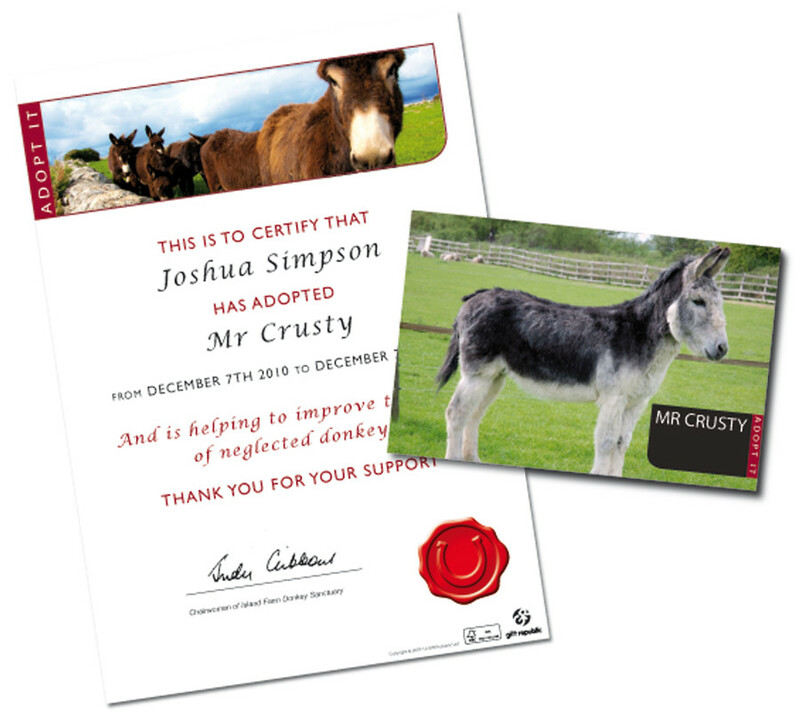 You can adopt your very own donkey this Christmas for 12 months at the Island Farm Donkey Sanctuary (IFDS), a registered donkey charity which cares for and protects abused and ill-treated donkeys and other animals. 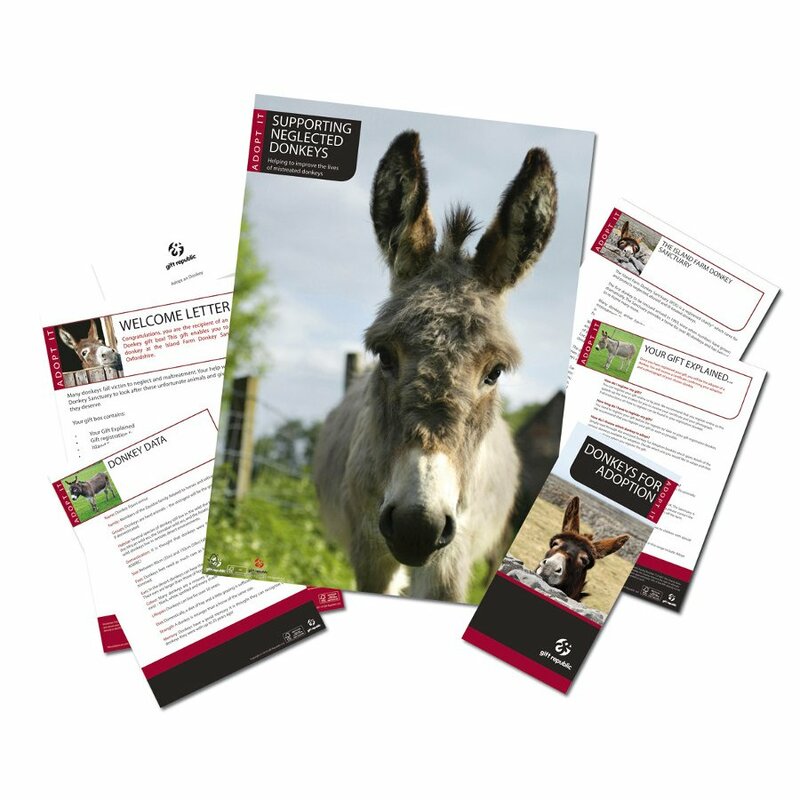 The gift pack includes information about donkeys, a souvenir poster and easy-to-follow instructions on how to register online or by post to receive a personalised supporter certificate and a photograph of your chosen donkey. 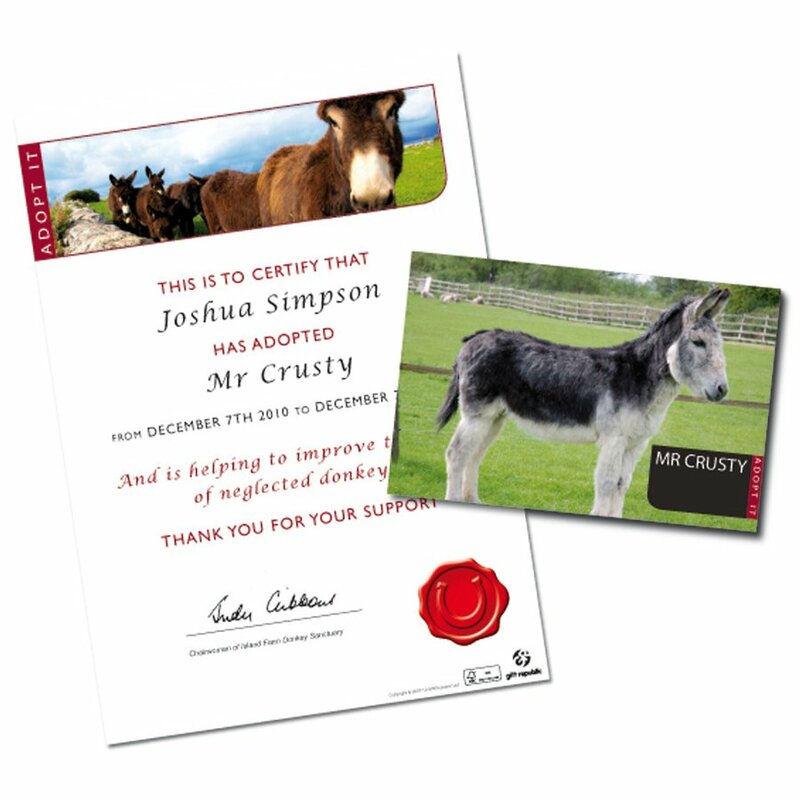 Adoption lasts for 12 months from the date of registration and you will receive updated from the IDFS. 10% of proceeds will be donated to the charity. 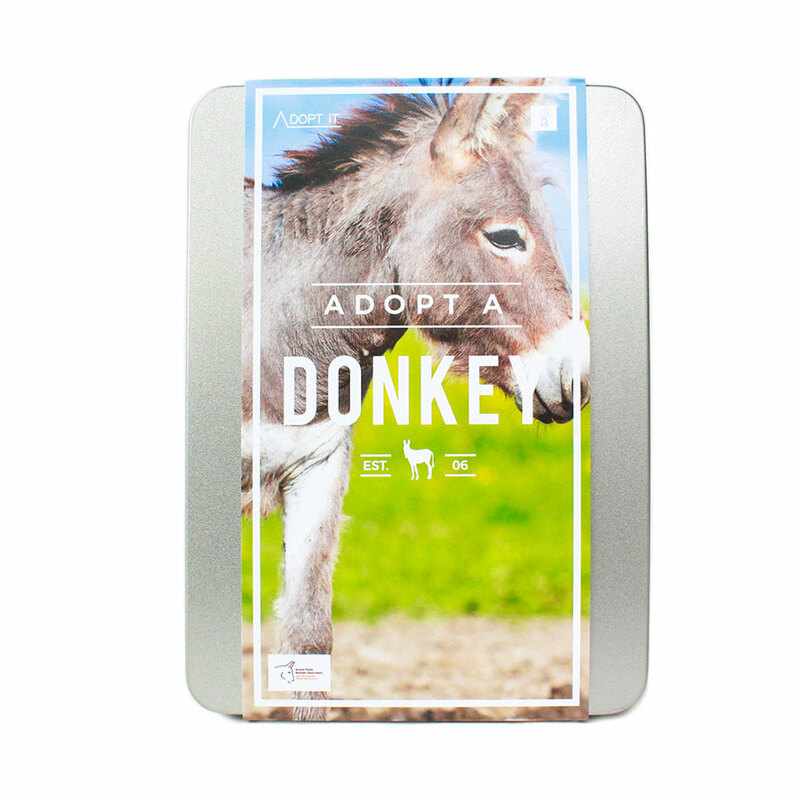 The Adopt a Donkey Gift Pack product ethics are indicated below. To learn more about these product ethics and to see related products, follow the links below. 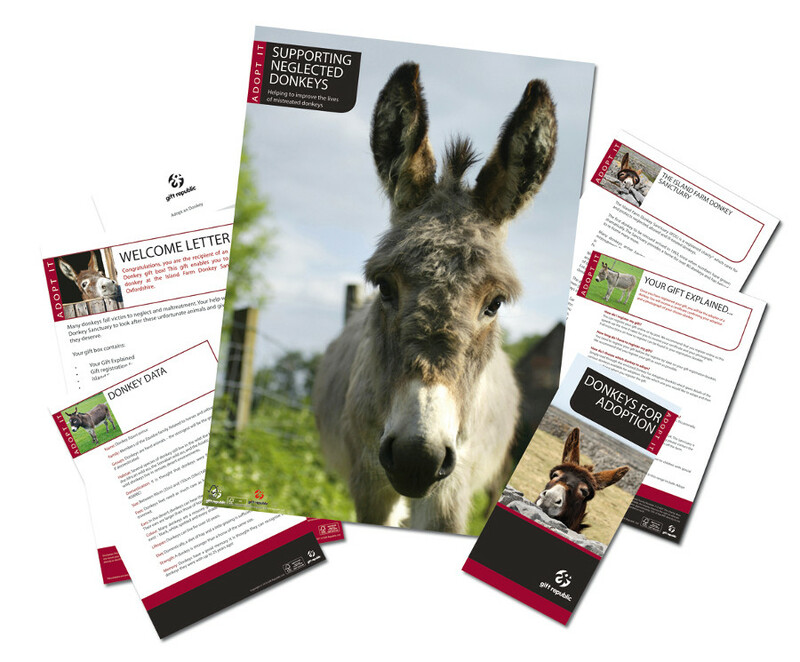 There are currently no questions to display about Adopt a Donkey Gift Pack.